So, this is not the normal time of year for “best of” or “most anticipated” posts, but it’s never the wrong time to celebrate awesomeness, right? Given all the upset in SFF lately, I wanted to share a dose of my excitement for some novels coming our way this year. Because for me, that’s what being a fan is about — sharing my excitement with other passionate people — and I refuse to let that be tainted by other interpretations of how fandom does or should work. ANYWAY. I’m going to list these in order of release. I am so excited for other people to have read these so we can squee and argue together. 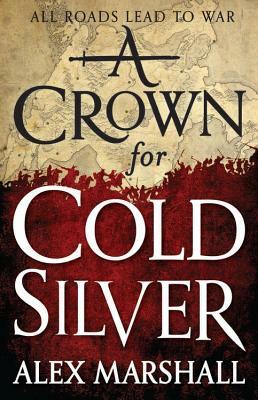 A Crown for Cold Silver by Alex Marshall, out on April 14th. Cobalt Zosia conquered an empire and retired — until politics followed her. Now, she’s out for blood. I love that this protagonist is an old woman, that she’s a mercenary, that she is at times she is terrifying and at others unexpectedly relatable. I love that this empire spans a lot of cultures that are not Eurocentric, and I love how much is going on with gender and sexuality in this book. 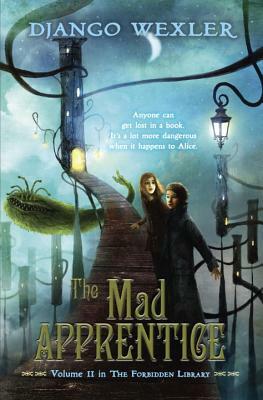 The Mad Apprentice by Django Wexler, out on April 21st. Alice gets thrown off the deep end in this book. Everyone — excepting one terrifying, perfect dragon — keeps claiming they know what’s best for her. It’s one thing to know their agendas could get her killed, but how can she know what to do or who can she trust? Also, there are cats. Hana by Tam MacNeil, out in May. I don’t know exactly what date Hana is coming out on, but keep your eyes peeled. This series is set in a fantasy Japan with samurai and assassins. 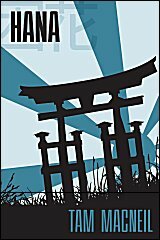 I am SUPER PICKY when it comes to fictionalized versions of Japan, but this one I love. Doku, the most recent Jao book, was in my opinion the best yet, so I can’t wait to see what’s in store for us next. I’m also legitimately worried for Jao and Masahiro, because Tam puts those poor boys through an emotional wringer every time. 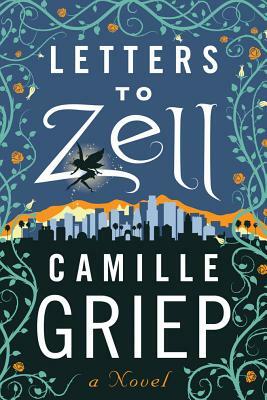 Letters to Zell by Camille Griep, out May 19th. 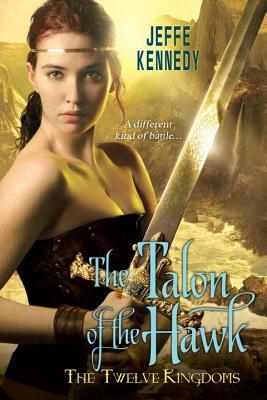 The Talon of the Hawk by Jeffe Kennedy, out on May 26th. I enjoyed The Mark of the Tala (book 1), but I did not expect to love The Tears of the Rose like I did. Normally, for me, not respecting the protagonist means I’m unlikely to enjoy the book. But Jeffe Kennedy has a gift for complicating characters I don’t like until they’re so compelling I don’t care that I don’t like them. The Talon of the Hawk follows the third sister: the responsible one, the one who her father wishes were a man, the one who trained as a warrior and as a politician and has a mind like a steel trap. If the author could get me to enjoy the passive and bratty sisters, I can’t wait to see what she can do with the one I’m already rooting for. 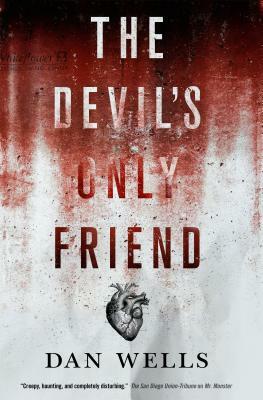 The Devil’s Only Friend by Dan Wells, out June 16th. If you have not read the John Cleaver series beginning with I am Not a Serial Killer, you have missed out. It’s not too late. Dan Wells gets what makes monsters so horrifying on a creeping yet visceral level, and he gets what makes humans horrifying, and also what makes humans amazing. This series is a master work, and I can’t tell you how excited I am he’s picking these characters and this world up again. 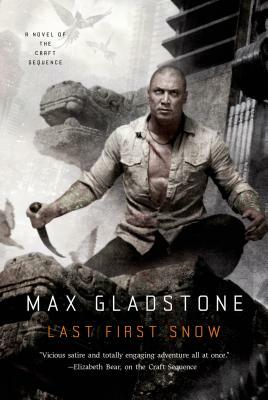 Last First Snow by Max Gladstone, out on July 14th. In this book we are back in Dresediel Lex with Elayne Kevarian who is pretty much my favorite character ever (ever), the King in Red who is a skeleton sorcerer ruling a city because why not, and Temoc who is the last surviving knight worshipping fallen gods. This book leads us inexorably through a fantasy version of a protest from all sides, and it is wonderfully done and actually painful in parts. SO GOOD. If you haven’t read Three Parts Dead and on, please do yourself a favor and check this series out. 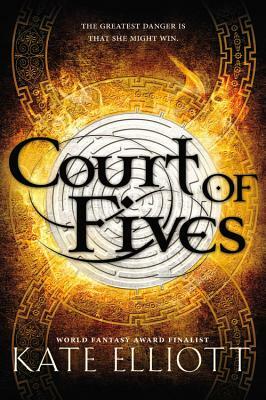 Court of Fives by Kate Elliott, out on August 18th. Somehow I haven’t managed to read any of this author’s work before, so this will be my first. Besides hearing extremely positive reviews, I’ve heard that this book was actually borne out of a roundtable discussion we had at Sirens in 2013 about women in power positions in fantasy, and I’m excited to see what she took. 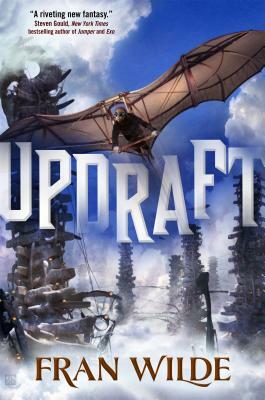 Updraft by Fran Wilde, out on September 1st. Wings. A growing city of bone, with towers and spires. Sky monsters. Did I mention the wings? Fran has such an immersive world, and I absolutely loved the protagonist — resourceful, realistically mature, indomitable. HIGHLY RECOMMEND. 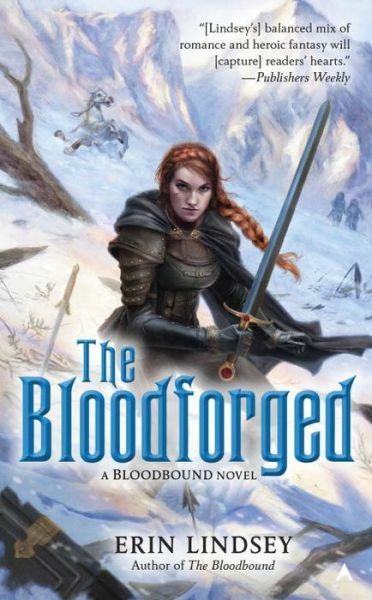 The Bloodforged by Erin Lindsey, out on September 29th. Our protagonist is a warrior — once a scout, then the captain of the king’s personal guard — and also an aristocratic lady, and extremely notable as both. I love competent protagonists. She’s observant, resourceful, and willing to buckle down and do what needs to be done when no one else will. I also find it refreshing that this is a world that does not preclude or shame women from being warriors. Memories of Ash by Intisar Khanani. The author hasn’t announced yet when this will be out, so I list it here out of hope. 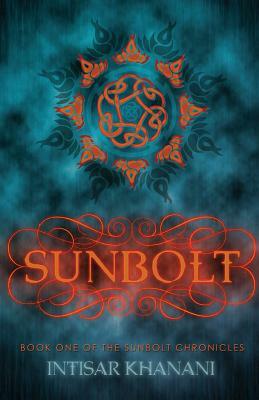 Sunbolt is a fabulous introduction to a vast, multicultural world full of inventive magic and monsters with a heroine who is actively working in an underground rebellion as a spy. Some authors struggle with giving their characters agency, but the protagonist of Sunbolt is active and making choices constantly and it’s absolutely delightful. I really want the next one! That’s it for now! I did not realize how many of these were YA when I started writing, and I am newly pleased — I feel like I didn’t enjoy as many YA fantasy novels last year, but it looks like this year will be a great one for my YA reading =). So a quick note for two others I’m excited about and only aren’t on this list because beyond positive reviews I know nothing more about them than what’s included in their official synopses: Last Song Before Night by Ilana C. Myer and The Traitor Baru Cormorant by Seth Dickinson, both out in September. Did I mention how excited I am for this year as a fantasy fan? It’s going to be fabulous. We will make it so.